When you think of dorm room decorating for Christmas, you typically think of your dorm Christmas tree. However, your dorm wreath is just as important. A wreath will provide that perfect addition to your dorm room decorations to make your dorm room truly feel like home. Place a wreath on your dorm room door for a pretty addition to the dorm room hall or even place on your dorm wall or college Christmas tree for extra holiday cheer in your dorm essentials. 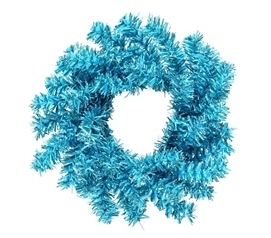 Add to your dorm room decor or make your college dorm room door part of your holiday decorations with our 6" Sky Blue Mini Wreath! 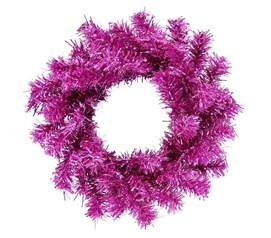 Make your college dorm room stand out from the others with our 6" Hot Pink Mini Wreath on your dorm room door! 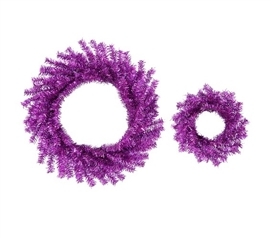 Add bright, fun accents to your college dorm room decor with our 6" Purple Mini Wreath! 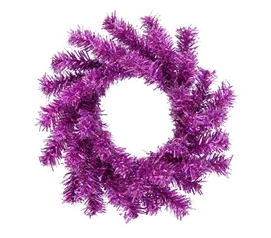 Complete your holiday dorm room decor with dorm necessities like our 10"/18" Purple Wreath Set! Don't forget about wreaths when you're dorm room decorating for the holidays! 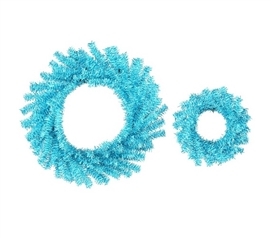 Our 10"/18" Sky Blue Wreath Set comes with a wreath for your dorm room door and one for your college wall decor! Holiday dorm room decorations aren't complete without a dorm wreath. A symbol of the holiday season, a wreath will make your college dorm room feel like a home away from home when you come back to your dorm room after a long day of college courses and see the dorm wreath greeting you when you first walk into your dorm room. Of course this dorm necessities item doesn't have to be limited to your dorm room door. Add a mini wreath your college Christmas tree branches for extra holiday decorations on your Christmas tree or place one on your dorm wall!